The foot of lemon or lemon pie is one of the most popular dishes that exist in the world of confectionery. Its preparation consists of several steps and while it is not a recipe for beginners, it is not as complicated as many think. A well-made dough, biting it crumbles in your mouth, not before. Una balanced lemon cream, between the sweet and the acid, if it exceeds one or the other, it loses its charm. 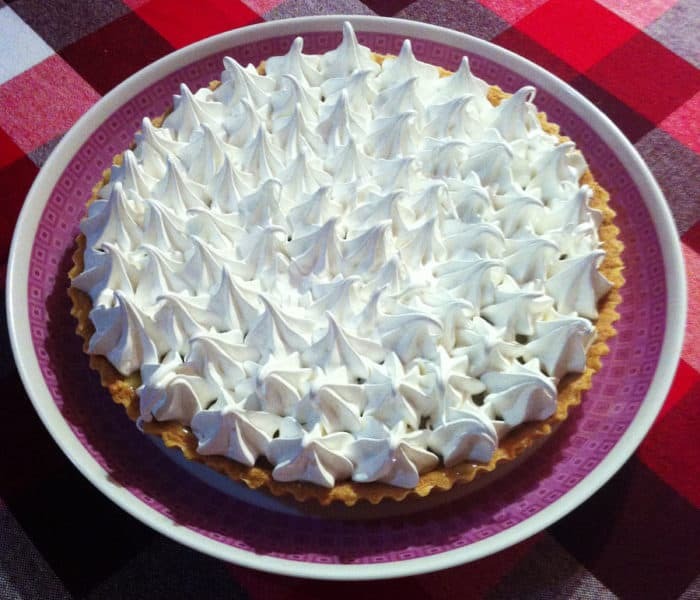 A good Swiss meringue, which picks up spikes and keeps them. If you meet these 3 points, you will achieve a quality product that will drive all those who try it crazy. Do not be scared, it's not that hard, ok? So, you want to learn how to make lemon pie? Here we have a very well explained recipe, which perfectly covers the above mentioned. Masa: We strain the flour and salt with a sieve. Cut the butter into cubes and refrigerate, then when it is cold it is incorporated into the flour in a food processor or with a cornet (1) to form a sand. Then add the powdered sugar (previously sieved) and the yolks to integrate. With the hands we continue mixing the dough without working it much so that the butter does not melt. Stretch a little with the help of hands and cover with plastic wrap. Refrigerate for at least 1 hour. Lemon cream: Combine the sugar, eggs and lemon juice by beating on a bain-marie until the preparation thickens. Remove from heat and add butter. Reserve. Swiss meringue: Place the egg whites in a bowl over a bain-marie, beat (with electric mixer) until frothed. Then the sugar is incorporated in the form of rain, keep beating until you get a firmer texture. Remove from the water bath and continue beating until the bowl cools and firm peaks are achieved. Remove the dough from the refrigerator, knead a little if it is very cold. Line a base to stand by stretching the dough with a rolling pin on a lightly floured table, remove excess dough. With a fork prick the dough (only at the base, never on the walls) and bake at 170ºC for several minutes until it browns a little. Allow to cool and unmold. Fill the base of the foot (already cold) with the lemon cream, refrigerate.Here you can see how to make a homemade cornet. We must not let the water of our bath marie touch the bowl in which we are beating in this case we are only interested in the steam that is generated between the bowl and the bowl. pot with water, keep it at medium temperature and avoid water boiling. 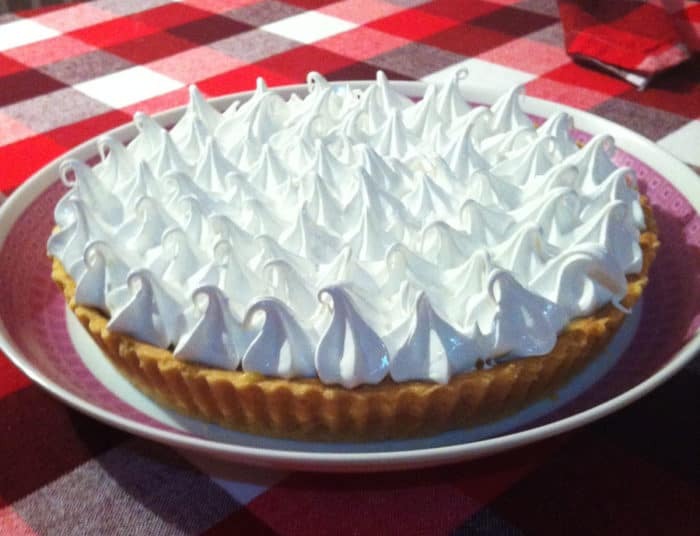 The photo below is for you to have an idea of ​​how this recipe of lemon pie would look, do not worry if you do not it looks exactly the same. And if you better make delicious butter cookies? They are very easy! This recipe for cupcakes is very easy, they are also fashionable, huh? You can also prepare some delicious homemade muffins. If you want more desserts we invite you to visit our delicious page with dessert recipes, where we have a little bit for all tastes, including some healthy and sugar-free.